Born, made, and tested in Las Vegas NV, Service & Privacy Capital of the World. As a Paying Customer at a Restaurant or Bar, wouldn’t it be great to get the service and privacy you want? Finally there is a solution for never again having to make awkward, hesitant hand gestures or embarrassing call-outs to a seemingly oblivious server, or perhaps worse, suffering the invasion of your privacy by a well-meaning but overly eager server. 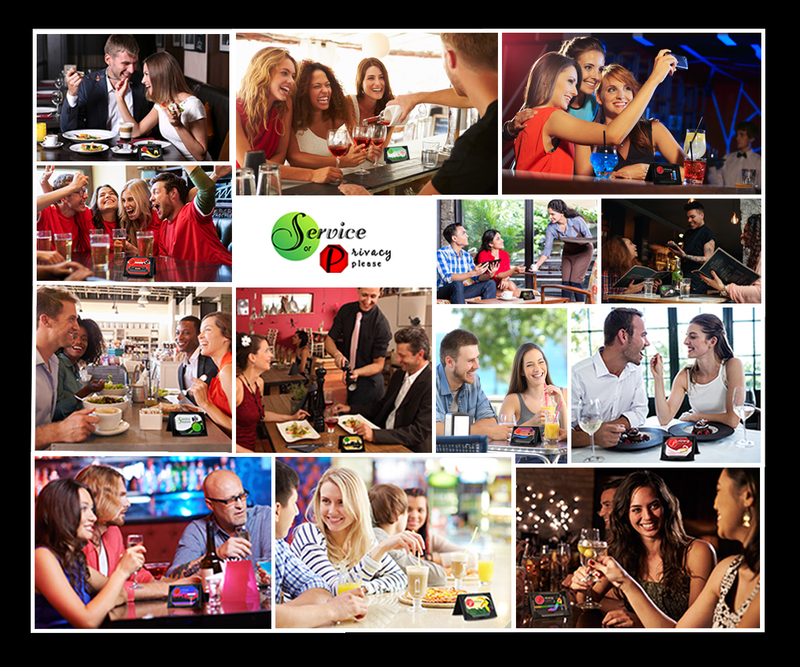 Introducing Service or Privacy Please, the first product line designed for paying patrons of most bars & restaurants, consisting of highly visible, personal & portable request signs, which when displayed, signals the service or privacy needs with dignity and respect for all parties involved. Service or Privacy Please was conceived, created and is made in Las Vegas, NV, where both service and privacy are of premium value and paramount importance. 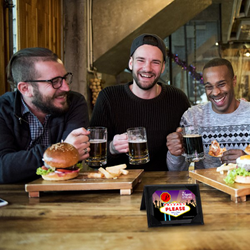 “In a saturated digital world where plasma screens seemingly are everywhere, we have created the perfect analog solution that can effectively enhance the service experience for almost anyone by offering restaurant and bar patrons an array of very visually appealing and equally effective, portable table or bar top signs,” says Service or Privacy Please company and co-founder, Brenda Brown. Service or Privacy Please signs can work three ways; first, as an alternate-sided display to signal the server when service is needed (green dot) or when privacy is preferred (red octagon); second, both sides can show the Service Please green dot only or third, both sides can show the Privacy Please red octagon only. Upon the server’s initial greeting, the user simply needs to take out from his/her pocket or purse, the Service or Privacy Please sign in its leather holder. “From there, it takes less than a minute for the casual introduction of the concept to the server” says Ms. Brown. “The sign gets placed at the edge of the table for the server to see for the remainder of the stay, which, during that time, will provide the wait staffs cues for when to approach or to respect some privacy time”. 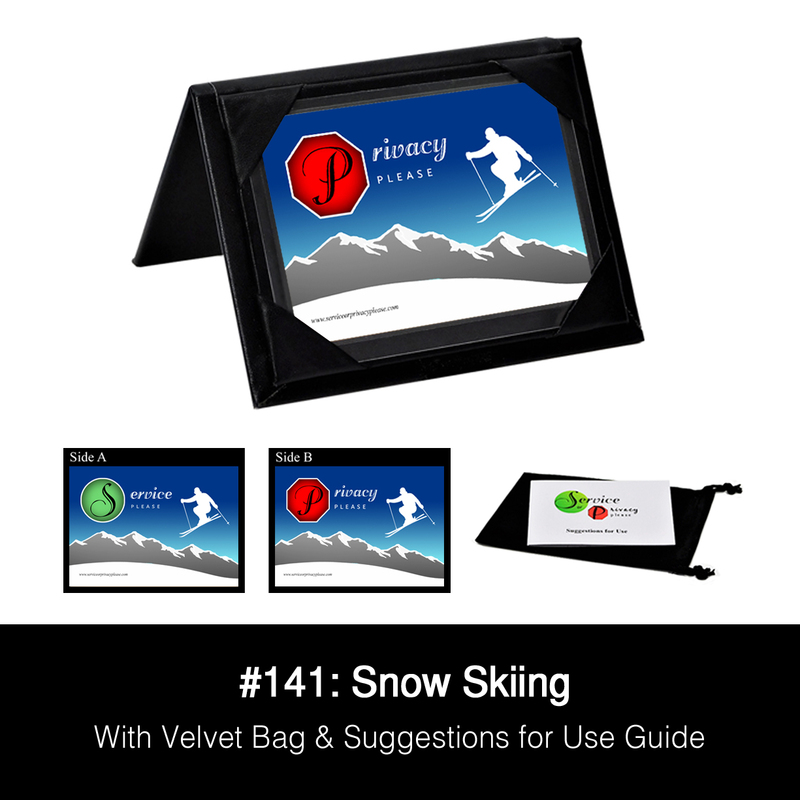 Service or Privacy Please is a Las Vegas-based company and a standard product package consisting of any pair of over 250 designs with a durable leather two-sided tent holder, velvet draw-string carrying bag retails for $17.99 available through the company website. In addition, all designs can be customized with adding a name or logo and all products are available to be boxed, packaged and sent as a gift or business promotion.